I previously characterized much of the research published by "reformers" as evidence-influenced, as opposed to evidence-driven. I cited criticisms by Bruce Baker and Julia Sass Rubin of the new Hoover Institute CREDO study of New Jersey charter schools. Today, however, I would like praise the conservative think tank. “Charter School Performance in New Jersey,” includes a repudiation of everything that the Hoover Institute has advocated. It compares outcomes for 77% of their study's charter school students with those of their peers in traditional public schools (TPS). It finds that in four of the five major cities with the most charters (Camden, Trenton, Jersey City, and Paterson) that charter students learn significantly less than their (TPS) peers in reading, and there are no differences in learning gains in math. CREDO’s charter school advocates acknowledge that, “much of the motivation for developing charter schools aims at improving education outcomes for students in poverty," as they report that low income charter students received no significant benefits in reading. Obviously, the above paragraph cherry-picks the study’s findings. But, is it less objective than Education Commissioner Chris Cerf’s claim that the study was a “rigorous, independent analysis” and “the results are clear – on the whole, New Jersey charter school students make larger learning gains in both reading and math than their traditional public school peers?" CREDO candidly reports that New Jersey charters serve less than 2/3rds as many special education students. Even more worrisome is the chart which showed that their charters serve no IEP students with the most severe and multiple disabilities. Moreover, these choice supporters admit that their methodology may understate the ineffectiveness of charters. It disproportionately excludes grade repeaters who are more likely to be classified as English Language Learners and/or special education students. In perhaps the most telling statistic on the extent of charters “creaming” the easier-to-educate students, New Jersey has 22,981 charter students but the CREDO database of includes only 60 grade-repeating charter students who could be matched in reading. Again, the above paragraph is informed by a point of view. But, is it more biased than the CREDO conclusion that “it is not possible to discern the underlying causes for the differences in these figures (on ELL and IEP students’ disparities)?” Can anyone believe that CREDO does not know why charters serve smaller numbers of the hard-to-educate students? Seriously, we've had enough spin! As Bruce Baker concludes in his analysis of the paper, "there are some strategies by some charters (as well as some strategies empowered by some district schools) that are working well," but "THE CREDO REPORT PROVIDES ABSOLUTELY NO INSIGHTS IN THIS REGARD." And that brings us back to the difference between the CREDO study and the way it is mischaracterized by its sponsors. As Julia Sass Rubin asks, "how can an institution that claims to be academically objective put out a press release that is so misleading about the study’s findings?" Even if CREDO simply intends to produce social science-influenced papers, they should remember why they first tackled the issue of school reform. Even if they are successful in using their briefs to defeat educators who hold different beliefs, what will they have accomplished? What is the point of brass knuckle politics to expand charters if they they don't perform any better than the results that CREDO scattered throughout its study? The following is my edited commentary in response to comments by a CCSS supporter on the Professor Ravitch post: A Teacher of Latin Writes In Defense of Fiction. Kaye Thompson Peters, I've grown weary of the trite "apple and oranges" device that you employ everywhere in your stalwart defense of Corporate Core. You even used it in a gushing apology for Common Core State Standards (CCSS) on Hoover's fringe-right EdNext. While you might not be uncomfortable that Pearson Education, Inc. has been promoting your writings on CCSS, it does cause some of us consternation. When discussing CCSS in relation to NCLB and RTTT, we're not conflating apples and oranges, we're discussing a bushel of rotten apples foisted on us by a bunch of billionaires suffering from the Shoe Button Complex. To be sure, the revenue minded corporate overlords who coined Corporate Core have never considered high-stakes standardized testing a separate issue from their imposition of CCSS. 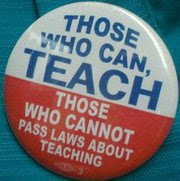 They are one in the same and they serve the same set of goals in the neoliberal project of privatizing public schools. The Gates Foundation and the Duncan led Department of Education (my apologies for that redundancy) have been quite effective in convincing surrogates (some even in the AFT and NEA, sadly) to crow that they aren't inextricably linked. Such propaganda is so transparent that astute people see right through it. Ms. Peters, CCSS isn't a solution to, but instead it is a deliberate doubling down of, the vile policies of NCLB and RTTT. "All students must be prepared to compete with not only their American peers in the next state, but with students around the world." David Coleman's contempt for literature in English classes (at least for working class children) reflects both his corporate pedigree and that of his plutocrat handlers. It is no "red herring" to point out this glaring fault of CCSS, but I do agree with Mr. Heller that there are other fundamental flaws to this nationally imposed corporate curriculum. We need far more "Grapes of Wrath" and far less "FedViews" in this society. Sandra Stotsky does an excellent job taking on Coleman's corporate aims in her piece reproduced on the Parents Across America site. Ultimately we must resist CCSS. Susan Ohanian, Professor Stephen Krashen, and the Schools Matter camp are leading the way on this. My recent short on Schools Matter has some great resource links for fighting CCSS. "... the revolution in business ... will, over time, take place in education, too. We will move away from a system that assumes every child of a particular age moves at the same pace in every subject, and develop a system directed to the particular talents and interests of every pupil." The answer is (c), Tony Blair, Prime Minister of the UK, 1997-2007. According to Roland Meighan (http://www.tes.co.uk/article.aspx?storycode=305041), it was quoted by Michael Barber in the Guardian, January 30, 1996. The debate over fiction vs. non-fiction in the Common Core is diverting us from a more important question: should we have common core standards? The rational for the standards is the belief that our schools are “broken.” There is no evidence this is true: Middle class American students who attend well-funded schools score at the top of the world on international tests. Our unspectacular scores are because US has such a high percentage of child poverty, 23.1%, the second-highest percentage among 34 economically advanced countries. High-scoring Finland has less than 5.3% child poverty. Poverty means poor diet, poor health care, and little access to books; all have a devastating effect on school performance. There is no evidence that standards and tests improve school achievement. The money budgeted for standards and tests to enforce the standards should be used to protect children from the effects of poverty. Berliner, D. 2011. The Context for Interpreting PISA Results in the USA: Negativism, Chauvinism, Misunderstanding, and the Potential to Distort the Educational Systems of Nations. In Pereyra, M., Kottoff, H-G., and Cowan, R. (Eds.). PISA under examination: Changing knowledge, changing tests, and changing schools. Amsterdam: Sense Publishers. 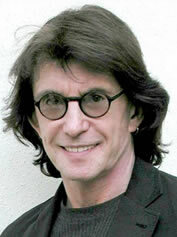 Neuman, S.B. and Celano, D. 2001. Access to print in low-income and middle-income communities: An ecological study of four neighborhoods. Reading Research Quarterly, 36, 1, 8-26. Loveless, T. 2011. How well are American students learning? The 2010 Brown Center Report on American Education. The Brown Foundation: Houston. (2) encourage a direct teaching, skill-building approach to teaching. There is very good evidence from both first and second language acquisition that aspects of language and literacy are naturally acquired in a specific order that cannot be altered by instruction (e.g. C. Chomsky, 1969, The Acquisition of Syntax in Children from 5 to 10. Cambridge: MIT Press; Krashen, S. 1981, Second Language Acquisition and Second Language Learning, Pergamon Press, available at www.sdkrashen.com). For the plutocrat sponsors* of Common Core State Standards (CCSS) to suggest that it has any goals beyond imbuing corporate servitude, compliance, petty jingoism, and acceptance of austerity is nothing short of pernicious propaganda. Certainly David Coleman and Co. coined their "four C's" well after the fact, and clearly this was in response to to cogent criticisms by actual educators including Susan Ohanian, Professor Stephen Krashen, and others. Everything in Corporate Core Curriculum is designed to discourage critical thinking skills, and this is why CCSS won't be required outside of public schools (eg. charters, parochial, and private schools). There definitely won't be any canned corporate curricula sponsored by the Gates Foundation inflicted on the children of privilege at schools like Sidwell Friends. Cause the appearance that the public school school system is broken, and that market solutions (charters/vouchers) would fare better. Control the curriculum and combat any chance that "dangerous" curricula that might cause people to resist neoliberalism or question corporate dominance is taught. Further sort students by race and class, and further subject them to endless mind numbing test preparation. Ultimately discouraging any critical thinking skills in any class outside those running society. Serve as the perfect excuse for union busting and the total deprofessionalization of teaching. Ultimately leading to low cost, but highly profitable delivery of necessary information (informational texts anyone?) to those not deemed as needing critical thinking. Real teaching will continue to exist in the hallowed halls of elite private schools for scion of the ruling class. Obscene profits for charlatans like Pearson, Microsoft, Goldman Sachs, Gideon Stein, and everyone else associated with the diverse markets connected to school privatization, real estate, and the standardized-testing-industrial-complex. We must resist Corporate Core by every means posible. Paris 1968 is a good model for us to follow. If we don't, we may as well begin writing our eulogies for public education today. * I'm not saying Mr. Mindlin is working for one of them. He did, after all, say the so-called "four C's" were "allegedly" at the heart of CCSS. A list of technological requirements (minimum and optimal) to implement common core. No mention of how much it will cost. But it will clearly cost a lot. And we are told that this is “an ongoing process” – in other words, the boondoggle will continue forever. Not an experiment done with a modest sample to see if it will work, but imposed on nearly the entire country. The barrage of new state tests being rolled out this year is “an egregious waste of taxpayer dollars” that won’t help kids, Charlotte-Mecklenburg Superintendent Heath Morrison said Thursday. He joins a band of superintendents across the country fighting the push to use student testing to rate teachers and schools. Earlier this month, the superintendent in Montgomery County, Md., called for a three-year moratorium on standardized testing and an end to “the insanity” of evaluating teachers on test scores, according to The Washington Post. Morrison said he’s working with Montgomery County Superintendent Joshua Starr, as well as a network of district leaders inside and outside North Carolina, to try to counteract the national testing craze. Those tests will take too much time from teaching, won’t be effective for improving student or teacher performance, and will soon be replaced by new exams tied to national Common Core standards, Morrison said. It’s a sharp change of direction for the leader of Charlotte-Mecklenburg Schools. Just two years ago, then-Superintendent Peter Gorman spent county money to create dozens of new exams to be used for teacher ratings, only to have them scrapped after he resigned in 2011. Morrison took office in July and has been meeting with citizens and teachers, including some who opposed Gorman’s testing program. In recent weeks, Morrison has raised questions about the new state tests, but has mostly focused on the problems created by unknown new tests and delayed scores for students. In a wide-ranging discussion with the Observer’s editorial staff and a reporter, he was emphatic about his opposition to the current plan. “Why are we in a rush to do all of this testing, then use it for accountability for schools and use it for accountability for teachers?” he said. Morrison said he’s part of a consortium with Starr in suburban D.C., along with leaders of districts in Fairfax County, Va., and Gwinett and Fulton counties in suburban Atlanta. He said he and other North Carolina superintendents have met with state Superintendent June Atkinson to raise their concerns that the new exams will do more harm than good. Morrison said he supports valid tests that measure how well students have mastered material and how well teachers have presented it, but he said the state needs more time to develop tests that deserve public confidence. He also called for more emphasis on improving teacher quality, rather than identifying those with low test-score ratings. “We’re in this idea that we’re going to find all these bad teachers and we’re going to test them and we’re going to get them out of the field,” he said. “Well, where is the quality influx to get into the field? In 2013, Morrison and the school board will refine a long-term plan for CMS. Morrison has created 22 task forces to study key issues, including one on an accountability system, which could include how to move ahead with testing and ratings. There are so few who can explain the complexity of how the deep connections between the attack on public education and teachers -- that if not stopped --will ultimately lead to the end of democracy itself. The tragic deaths of 26 people shot and killed at Sandy Hook Elementary School in Newtown, Conn., included 20 young children and six educators. Many more children might have been killed or injured had it not been for the brave and decisive actions of the teachers in the school. The mainstream media was quick to call them heroes, and there is little doubt that what they did under horrific circumstances reveals not only how important educators are in shielding children from imminent threat, but also how demanding their roles have become in preparing them to negotiate a world that is becoming more precarious, more dangerous - and infinitely more divisive. Teachers are one of the most important resources a nation has for providing the skills, values and knowledge that prepare young people for productive citizenship - but more than this, to give sanctuary to their dreams and aspirations for a future of hope, dignity and justice. It is indeed ironic, in the unfolding nightmare in Newtown, that only in the midst of such a shocking tragedy are teachers celebrated in ways that justly acknowledge - albeit briefly and inadequately - the vital role they play every day in both protecting and educating our children. What is repressed in these jarring historical moments is that teachers have been under vicious and sustained attack by right-wing conservatives, religious fundamentalists, and centrist democrats since the beginning of the 1980s. Depicted as the new "welfare queens," their labor and their care has been instrumentalized andinfantilized ;  they have been fired en masse under calls for austerity; they have seen rollbacks in their pensions, and have been derided because they teach in so-called "government schools." Public school teachers too readily and far too pervasively have been relegated to zones of humiliation and denigration. The importance of what teachers actually do, the crucial and highly differentiated nature of the work they perform and their value as guardians, role models and trustees only appears in the midst of such a tragic event. If the United States is to prevent its slide into a deeply violent and anti-democratic state, it will, among other things, be required fundamentally to rethink not merely the relationship between education and democracy, but also the very nature of teaching, the role of teachers as engaged citizens and public intellectuals and the relationship between teaching and social responsibility. This essay makes one small contribution to that effort. Right-wing fundamentalists and corporate ideologues are not just waging a war against the rights of unions, workers, students, women, the disabled, low-income groups and poor minorities, but also against those public spheres that provide a vocabulary for connecting values, desires, identities, social relations and institutions to the discourse of social responsibility, ethics, and democracy, if not thinking itself. Neoliberalism, or unbridled free-market fundamentalism, employs modes of governance, discipline and regulation that are totalizing in their insistence that all aspects of social life be determined, shaped and weighted through market-driven measures. Neoliberalism is not merely an economic doctrine that prioritizes buying and selling, makes the supermarket and mall the temples of public life and defines the obligations of citizenship in strictly consumerist terms. It is also a mode of pedagogy and set of social arrangements that uses education to win consent, produce consumer-based notions of agency and militarize reason in the service of war, profits, power and violence while simultaneously instrumentalizing all forms of knowledge. The increasing militarization of reason and growing expansion of forms of militarized discipline are most visible in policies currently promoted by wealthy conservative foundations such as the Heritage Foundation and the American Enterprise Institute along with the high-profile presence and advocacy of corporate reform spokespersons such as Joel Klein and Michelle Rhee andbillionaire financers  such as Michael Milken. As Ken Saltman, Diane Ravitch, Alex Means and others have pointed out, wealthy billionaires such as Bill Gates are financing educational reforms that promote privatization, de-professionalization, online classes, and high-stakes testing, while at the same time impugning the character and autonomy of teachers and the unions that support them. Consequently, public school teachers have become the new class of government-dependent moochers and the disparaged culture of Wall Street has emerged as the only model or resource from which to develop theories of educational leadership and reform. The same people who gave us the economic recession of 2008, lost billions in corrupt trading practices, and sold fraudulent mortgages to millions of homeowners have ironically become sources of wisdom and insight regarding how young people should be educated. 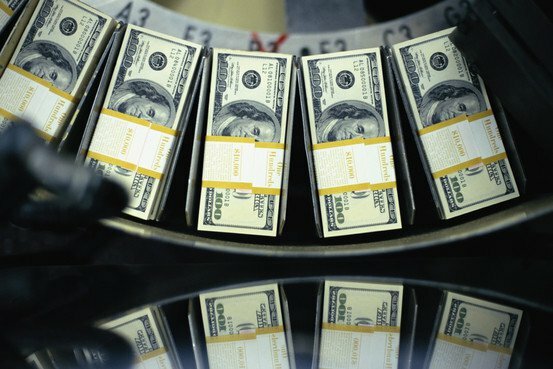 Attesting to the fact that political culture has become an adjunct of the culture of finance, politicians at the state and federal levels, irrespective of their political affiliation, advocate reforms that amount to selling off or giving away public schools to the apostles of casino capitalism. More importantly, the hysterical fury now being waged by the new educational reformists against public education exhibits no interest in modes of education that invest in an "educated public for the culture of the present and future." On the contrary, their relevance and power can be measured by the speed with which any notion of civic responsibilities is evaded. 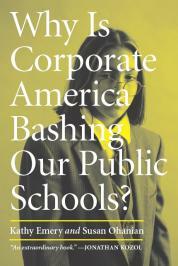 Instead of talking about the relationship between schools and democracy, the new educational reformers call for the disinvestment in public schools, the militarization of school culture, the commodification of knowledge and the privatizing of both the learning process and the spaces in which it takes place. The crusade for privatizing is now advanced with a vengeance by the corporate elite, a crusade designed to place the control of public schools and other public spheres in the alleged reliable hands of the apostles ofcasino capitalism. Budgets are now balanced on the backs of teachers and students while the wealthy get tax reductions and the promise of gentrification andprivate schools . In the name of austerity, schools are defunded so as to fail and provide an excuse to be turned over to the privatizing advocates of free-market fundamentalism. In this discourse, free-market reform refuses to imagine public education as the provision of the public good and social right and reduces education to meet the immediate needs of the economy. For those schools and students that are considered excess, the assault on reason is matched by the enactment of a militaristic culture of security, policing and containment, particularly in urban schools. Low-income and poor minority students now attend schools that have more security guards than teachers and are educated to believe that there is no distinction between prison culture and the culture of schooling. The underlying theme that connects the current attack on reason and the militarizing of social relations is that education is both a Petri dish for producing individuals who are wedded to the logic of the market and consumerism and a sorting machine for ushering largely poor black and brown youth into the criminal justice system. There is no language among these various political positions for defending public schools as a vital social institution and public good. Public education, in this view, no longer benefits the entire society but only individuals and, rather than being defined as a public good, is redefined as a private right. Where teachers do enter the debate, they are objects of educational reforms that reduce them to the status of high-level technicians carrying out dictates and objectives decided by experts far removed from the everyday realities of classroom life. Or they are reduced to the status of commercial salespersons selling knowledge, skills and values that have less to do with education than with training students for low-wage jobs in a global marketplace. Or, even worse, they are reduced to security officers employed largely to discipline, contain, and all too often, turnstudents  who commit infractions over to the police and thecriminal justice system . Not only do students not count in this mode of schooling, teachers are also stripped of their dignity and capacities when it comes to critically examining the nature and process of educational reform. I want to make a small theoretical contribution to this debate and the challenge it calls forth by examining two major problems that need to be addressed in the interest of improving the quality of "teacher work," which includes all the clerical tasks and extra assignments as well as classroom instruction. First, I think it is imperative to examine the ideological and material forces that have contributed to what I want to call the deskilling and commodification of teacher work; that is, the tendency to reduce teachers to the status of specialized technicians within the school bureaucracy, whose function then becomes one of the managing and implementing curricular programs rather than developing or critically appropriating curricula to fit specific pedagogical concerns and the particular needs of students. Second, there is a need to defend schools as institutions essential to maintaining and developing a critical democracy and also to defending teachers as public intellectuals who combine scholarly reflection and practice in the service of educating students to be thoughtful, active citizens. One of the major threats facing prospective and existing teachers within the public schools is the increasing development of instrumental and corporate ideologies that emphasize a technocratic approach to both teacher preparation and classroom pedagogy. At the core of the current emphasis on the instrumental and pragmatic factors in school life are a number of important pedagogical assumptions. These include: a call for the separation of conception from execution; the standardization of school knowledge in the interest of managing and controlling it, the increased call for standardized testing, and the devaluation of critical, intellectual work on the part of teachers and students for the primacy of practical considerations. In this view, teaching is reduced to training and concepts are substituted by methods. Teaching in this view is reduced to a set of strategies and skills and becomes synonymous with a method or technique. Instead of learning to raise questions about the principles underlying different classroom methods, research techniques and theories of education, teachers are often preoccupied with learning the "how to," with what works or with mastering the best way to teach a given body of knowledge. What is ignored in this retrograde view is any understanding of pedagogy as a moral and political practice that functions as a deliberate attempt to influence how and what knowledge, values and identities are produced with particular sets of classroom social relations. What is purposely derided in conservative notions of teaching and learning is a view of pedagogy, which in the most critical sense, illuminates the relationship among knowledge, authority and power and draws attention to questions concerning who has control over the conditions for the production of knowledge. Pedagogy in this sense addresses and connects ethics, politics, power and knowledge within practices that allow for generating multiple solidarities, narratives and vocabularies as part of a broader democratic project. As Chandra Mohanty insists, pedagogy is not only about the act of knowing, but also about how knowledge is related to the power of self-definition, understanding one’s relationship to others and one’s understanding and connection to the larger world. In the end, pedagogy is not, as many conservatives argue, about immersing young people in predefined and isolated bits of information, but about the issue of agency and how it can be developed in the interest of deepening and expanding the meaning and purpose of democratization and the formative cultures that make it possible. Pedagogy as an intellectual, moral and political practice is now based on "measurements of value derived frommarket competition ." Mathematical utility has now replaced critical dialogue, debate, risk-taking, the power of imaginative leaps and learning for the sake of learning. A crude instrumental rationality now governs the form and content of curricula, and where content has the potential to open up the possibility of critical thinking, it is quickly shut down. This is a pedagogy that has led to the abandonment of democratic impulses, analytic thinking, and social responsibility. It is also a pedagogy that infantilizes both teachers and students. For instance, the Texas GOP built into its platform the banning ofcritical thinking . Not too long ago, the Florida legislature passed a law claiming that history had to be taught simply as a ledger of facts, banning any attempt at what can loosely be called interpretation. Viewing teachers as public intellectuals also provides a strong theoretical critique of technocratic and instrumental ideologies underlying educational theories that separate the conceptualization, planning and design of curricula from the processes of implementation and execution. It is important to stress that teachers must take active responsibility for raising serious questions about what they teach, how they are to teach and what the larger goals are for which they are striving. This means that they must take a responsible role in shaping the purposes and conditions of schooling. Such a task is impossible within a division of labor in which teachers have little influence over the conceptual and economic conditions of their work. This point has a normative and political dimension that seems especially relevant for teachers. 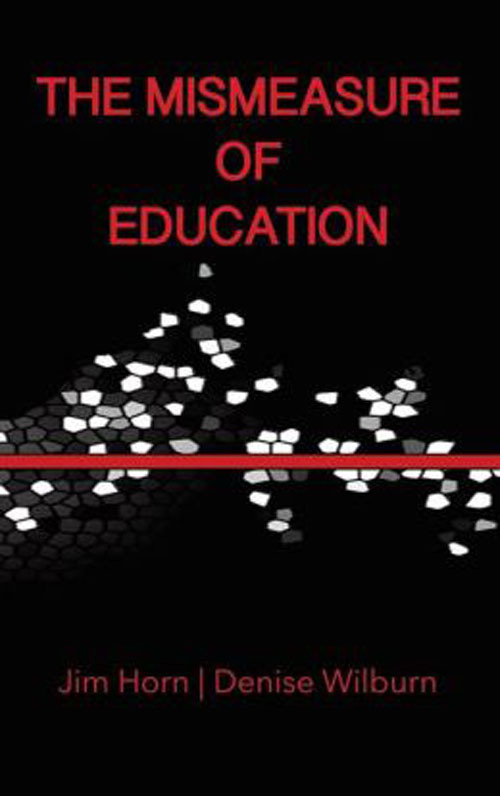 If we believe that the role of teaching cannot be reduced to merely training in the practical skills, but involves, instead, the education of a class of engaged and public intellectuals vital to the development of a free society, then the category of intellectual becomes a way of linking the purpose of teacher education, public schooling and in-service training to the principles necessary for developing a democratic order and society. Recognizing teachers as engaged and public intellectuals means that educators should never be reduced to technicians, just as education should never be reduced to training. Instead, pedagogy should be rooted in the practice of freedom - in those ethical and political formations that expand democratic underpinnings and principles of both the self and the broader social order. Schools are always political because they both produce particular kinds of agents, desires and social relations and they legitimate particular notions of the past, present and future. The struggle is most visible in the demands, for example, of right-wing religious groups currently trying to inject creationism in the schools, institute school prayer, remove certain books from school libraries and include certain forms of religious teachings in the curricula. Of course, different demands are made by feminists, ecologists, minorities, and other interest groups who believe that the schools should teach women's studies, courses on the environment or black history. In short, schools are not neutral sites, and teachers cannot assume the posture of being neutral either. As public intellectuals, teachers should develop a discourse that unites the language of critique with the language of possibility. 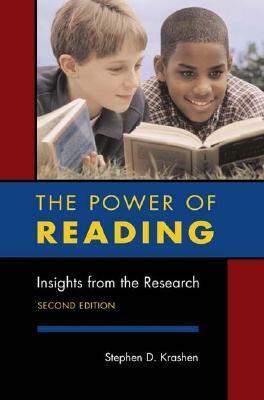 In this instance, educators not only recognize the need to act on the world, to connect reading the word with reading the world, but also make clear that it is within their power individually and collectively to do so. In taking up this project, they should work under conditions that allow them to speak out against economic, political and social injustices both within and outside of schools. At the same time, they should work to create the conditions that give students the opportunity to become critical and engaged citizens who have the knowledge and courage to struggle in order to make desolation and cynicism unconvincing and hope practical. Hope in this case is neither a call to social engineering nor an excuse to overlook the difficult conditions that shape both schools and the larger social order. On the contrary, it is the precondition for providing those languages and values that point the way to a more democratic and just world. As Judith Butler has argued, there is more hope in the world when we can question common sense assumptions and believe that what we know is directly related to our ability to help change the world around us, though it is far from the only condition necessary for such change. 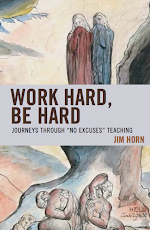 Hope provides the basis for dignifying our labor as intellectuals; it offers up critical knowledge linked to democratic social change, and allows teachers and students to recognize ambivalence and uncertainty as fundamental dimensions of learning. As Ernst Bloch insists, hope is "not yet in the sense of a possibility; that it could be there if we could only do something for it." Hope offers the possibility of thinking beyond the given - and lays open a pedagogical terrain in which teachers and students can engage in critique, dialogue and an open-ended struggle for justice. As difficult as this task may seem to educators, if not to a larger public, it is a struggle worth waging. To deny educators the opportunity to assume the role of public intellectuals is to prevent teachers from gaining control over the conditions of the work, denying them the right to "push at the frontiers, to worry the edges of the human imagination, to conjure beauty from the most unexpected things, to find magic in places where others never thought to look,"  and to model what it means for intellectuals to exhibit civic courage by giving education a central role in constructing a world that is more just, equitable and democratic in dark times. What role might public school teachers play as public intellectuals in light of the brutal killings at Sandy Hook Elementary School? In the most immediate sense, they can raise their collective voices against the educational influence of a larger culture and spectacle of violence and the power of the gun lobby to flood the country with deadly weapons. They can show how this culture of violence is only one part of a broader and all-embracing militarized culture of war, arms industry and a Darwinian survival of the fittest ethic, more characteristic of an authoritarian society than a democracy. They can mobilize young people to both stand up for teachers, students and public schools by advocating for policies that invest in schools rather than in the military-industrial complex and its massive and expensive weapons of death. They can educate young people and a larger public to support gun regulation and the democratization of the culture industries that now trade in violence as a form of entertainment; they can speak out against the educational, political, and economic conditions in which violence has become a sport in America - one of the most valuable practices and assets of the national entertainment state. The violent screen culture of video games, extreme sports, violent Hollywood films, television dramas and other cultural productions do not just produce entertainment, they are mainly teaching machines that instruct children into a sadistic culture in which killing is all right, violence is fun and masculinity is defined increasingly through its propensity to make celebrities out of killers. This is a culture that serves as a recruiting tool for the military, makes military force rather than democratic idealism the highest national ideal and war the most important organizing principle of society. Public school teachers can join with parents, churches, synagogues, Mosques and other individuals and institutions to address the larger socioeconomic and ideological values and practices that legitimize a hyper-masculinity fueled by the death-dealing assumption that war and a primitive tribalism make men, irrespective of the violence they promote against women, gays, students and people with disabilities. America is obsessed with violence and death, and this fixation not only provides profits for Hollywood, the defense industries and the weapons industries, it also reproduces a culture of war and cruelty that has become central to America’s national identity - one that is as shameful as it is deadly to its children and others. The war on public school teachers and children has reached its tragic apogee with the brutal and incomprehensible killing of the young children in Sandy Hook. What kind of country has the United States become in its willingness allow this endless barrage of symbolic and material violence to continue? Why has violence become the most powerful mediating force shaping social relations in the United States? Why do we allow a government to use drones to kill young children abroad? Why do we allow the right-wing media and the mainstream press to constantly denigrate both teachers and young people? Why are the lives of young people one of our lowest national priorities? Why do we denigrate public servants such as teachers, who educate, nurture and safeguard young people? What kind of country betrays its teachers and denigrates public education? How does the violence against teachers and students destroy the connective tissue that makes the shared bonds of trust, compassion and justice possible not only in our schools but also in a democracy? Some background: A few weeks ago, a letter was published in the Malibu Surfside News about a Thanksgiving dinner for day workers who use the Malibu Labor Exchange. About 300 people showed up. (You can read the whole thing in the Malibu Surfside News, Dec. 13, available online. Workers associated with Malibu Workers Exchange are mostly Spanish speakers. People sometimes get the impression that Spanish speakers do not speak English because many of those they have met have been in the US for only a short time. But they acquire the language quickly: A study of Spanish-speaking illegal immigrants revealed that 80% said they could speak no English when they arrived in the US, but only one and a half years later, this was reduced to 40%, quite impressive considering that few have the chance to take classes. Studies also show that in general Spanish speakers in the US speak English as well as speakers of Asian/Pacific Island languages. Research also consistently shows that the children of immigrants typically speak English better than their home language by the time they reach adolescence. Jones claims that day workers are taking jobs away from locals. This is unlikely: The average worker associated with centers such as the Malibu Worker Exchange works only about 20 hours a week. Day workers in general make up less than 1 percent (0.2%) of the state’s employed labor force. Taking jobs away? Gonzales, D. 2007. Day Labor in the Golden State. California Economic Policy, Public Policy Institute. A study of Spanish-speaking illegal immigrants …: Krashen, S. 1997. Do illegal aliens acquire English? CATESOL News (California Teachers of English to Speakers of Other Languages) 29 (3): 1,7. In general, Spanish speakers speak English as well as …: Krashen, S, 1999. Under Attack: The Case Against Bilingual Education. Culver City: Language Education Associates. This letter is in response to the inflammatory letter written by Steven Granville Jones about the Malibu Community Labor Exchange and those who support it. My name is Travis Crisco, I have been working in Malibu for seven years and coming here with my family for my entire life. I was formerly the manager/IT director of the now shuttered PCH Collective, an institution which loyally supported and contributed to this community for over six years. For the last several months I have been volunteering my time at the Malibu Community Labor Exchange, establishing a computer lab for all of the people who come there each day looking for work. Over the last few months I have been able to get to know many of the people who come down there each day trying to find work in the Malibu community. I personally take issue with many of Mr. Jones’ statements and find that they pander to the worst of the racist stereotypes held by many right wing elitists. The people that come to the exchange looking for work are no different in spirit than my immigrant ancestors who came here in search of the American dream in the late 1800s. If one asks many natural born citizens in this country the common belief given our current economic situation is that the American dream is dead. If someone wants to see where the American dream is still alive and well, it is with people like those who dare to risk everything looking for a better life in the U.S. for themselves and for their families. I work at the labor exchange three days a week helping hard-working, self-motivated, dedicated people every day look for work, learn English, and learn basic computer skills to better themselves. These are not freeloaders taking jobs away from the community. I sincerely doubt that many of the sons and daughters of local residents are lining up to dig holes, paint fences, clean corrals, etc. They do the jobs that local children don’t have to do because they have had an opportunity to have a good education with the added benefit of being born in the U.S. Many of the people looking for work at the labor ex- change every day are not illegal immigrants, we assist those of all ethnic backgrounds and many who speak English very well. We also provide a safe place for the local home- less to spend their day, look for work and have a meal. I challenge Steven Jones to spend a couple hours at the labor exchange getting to know the people who he is so callously bashing before vomiting out more tired and slanderous statements against good people trying to do some- thing positive for the less fortunate. Hess Concerned about "Commercialization of Tragedy"? "But I've also been disheartened, once again, by the commercialization of tragedy. I've been appalled by news coverage that quickly bleeds from respectful to rapacious, as reporters and cable bookers find ever more angles to keep the story alive. I'm horrified by advocates and education pundits who seize upon Newtown as a 'hook' to place an op-ed or push their favorite talking points and agenda items. And I'm sickened that, in a few weeks, this industry of callow self-promotion will have casually forgotten its heart-rending sorrow, with everyone racing off to capitalize on the next Twitter meme." "The free market ONLY mantra in the U.S. cannot be allowed a pass here. Maybe, just maybe, this could be a turning point for some reasonable and honest considerations of when the Commons trump the corporate, the commercial, and the invisible hand. "The Commons are the home of social agreements about what matters and about what is ethical. 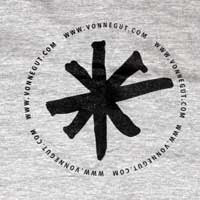 "Commercialism is about what sells, ethical be damned. "And it is exactly there that I turn against free market ideology for one of the most important Commons in a free society, universal public education. "Again, I am entirely serious here, peace to you and to the possibility a new dialogue can come from this." 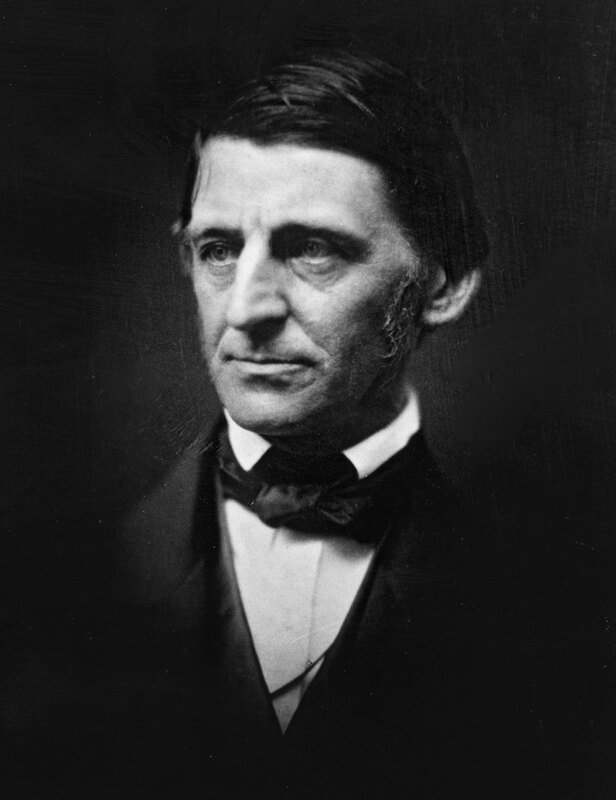 An audio recording of this excerpt from "New England Reformers" by Ralph Waldo Emerson (1844) read by Douglas Storm.